Great! You found us looking for a sim card to use in india, but did you know that getting a sim card in india can be quite a daunting task. And then, trying to find the cheapest SIM card in India for a heads up can be absolutely exhausting with so many options available even when the SIM card price in India is mostly affordable. Before getting a sim card, it is important to understand how telecom works in India, It could be very different from what you are used to. A prepaid sim card in india for foreigners or a pay as you go sim india is where you pay before hand to avail services like calling, data, texting. The plans on this one are comparatively cheaper. Billing details aren’t provided so expenses remain vague. How to Top up a Prepaid Card? When you run out of credit on your prepaid card, you will only be able to take incoming calls (only those that don’t cost you roaming charges) and you won’t be able to make calls or text or use data. Topping up or recharging your prepaid sim card can be done by following up with a service provider of your telecom anywhere in India. For example; if you have an Airtel phone, you will only be able to get it topped up or recharged from someone who is providing services for Airtel. There are also a few online options to get a recharge done immediately and some applications like My Airtel (you can look for apps specific to your telecom provider) that help you do it from your phone itself. Top up options are also of two types. For instance; you can either get a Rs 500 recharge and avail 500 minutes of calling or use some of that recharge for texting and data (calling minutes will reduce in proportion of usage of these services). Or, you can get value packs that come with combinations of services. So for example; a Rs 500 recharge value pack will come with x minutes of calling, y sms and zGB data. Now, even if you have acquired a SIM card, it might just not work with your phone or your phone might just not work at all and with any Indian SIM card. Why Your Phone Might Not Work in India? It is not necessary that your phone will work with an Indian SIM card . This could be because either the GSM band of your phone is not compatible or your phone is locked to your carrier. In most of the parts of the world, mobile phones are locked to their telecom carriers and only they (your telecom carrier) can unlock the phones for you. You will not be able to insert another sim or use it with another carrier unless you pass their criteria of getting the phone unlocked. 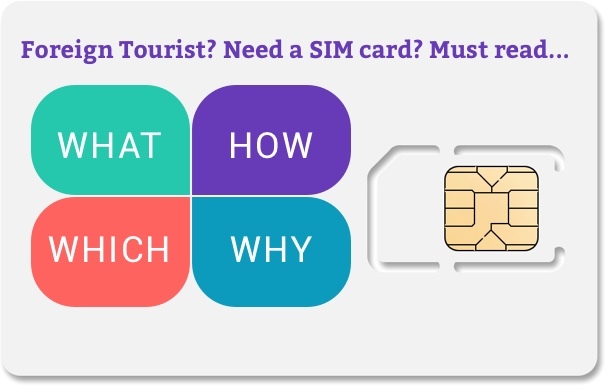 Due to security reasons, getting a regular SIM card in India or an international sim card requires foreign tourists to furnish a lot of documents and there are as many as 7 steps involved in the process. Firstly, to get a international mobile sim card in india, you need to produce a local reference who is ready to verify for you. Once verified, you have to activate your SIM by calling an activation number. Your sim card to use in india will be activated after 15 hours or so. And post that, you can recharge and choose plans. Read our blog post on ‘How to get a SIM card in India for calling and data?’ to know the process in detail. Lastly, the free sim card in india for foreigners 2018 that BSNL used to provide, has now been discontinued. There is no such free sim card India that you can avail and we warn you to be careful from such fraudulent claims. It was offered with Indian e-visa earlier but has been discontinued now for a very long time. So if you were hoping to get this, you need to look up for a different option. Getting a SIM Card in India is not as easy getting one in other countries like USA, Singapore, UK, Germany, France etc. It will be better if you look for an alternative rather than wasting your precious vacation time. Trabug saves you all the above hassle. All you have to do is book Trabug online and submit your KYC documents online. You get a Phone with a 4G connection that works across India and is compatible with all the networks of the country. You can recharge your phone on the go in case you run out of data or calling. This can be done from any location in India. 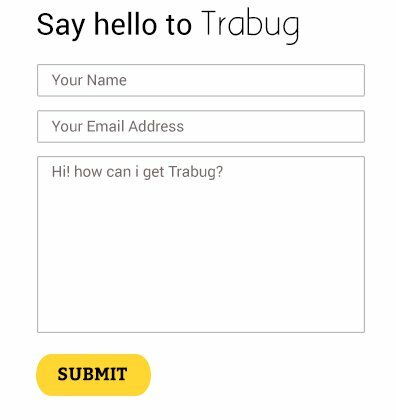 Trabug is one solution to all your problems. Check the plans and prices at this link https://www.trabug.com/pricing/ and book it online.